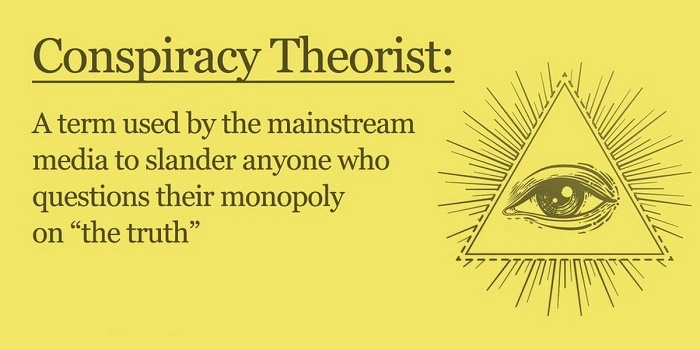 Are you a conspiracy theorist? If not, perhaps you should be. Yes, there have certainly been a lot of “conspiracy theories” over the years that have turned out not to be accurate. 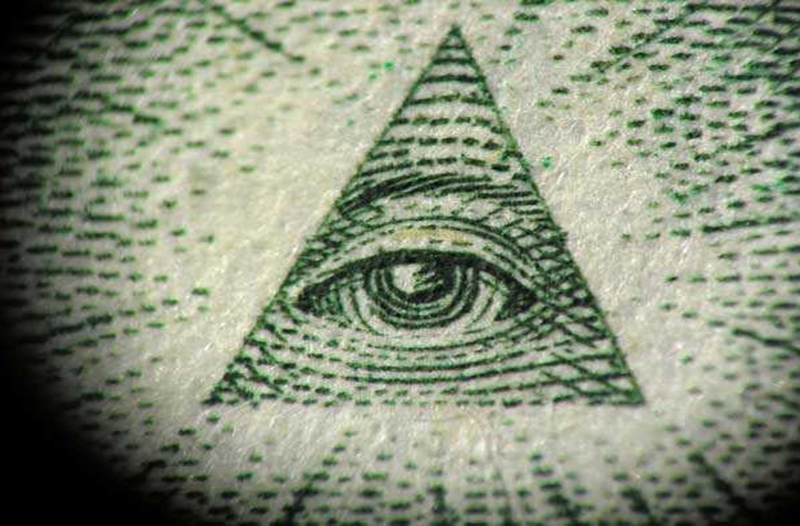 However, the truth is that a large number of very prominent conspiracy theories have turned out to actually be true. So the next time that you run into some “tin foil hat wearing lunatics”, you might want to actually listen to what they have to say. They may actually know some things that you do not. 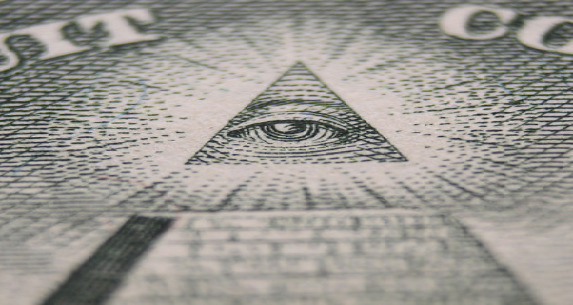 In fact, one recent study found that “conspiracy theorists” are actually more sane than the general population. So the next time you are tempted to dismiss someone as a “conspiracy theorist”, just remember that the one that is crazy might actually be you. The CDC has quickly removed a page from their website, which is now cached here, admitting that more than 98 million Americans received one or more doses of polio vaccine within an 8-year span when a proportion of the vaccine was contaminated with a cancer causing polyomavirus called SV40. It has been estimated that 10-30 million Americans could have received an SV40 contaminated dose of the vaccine. Cumbersome and slow cash machines with clunky buttons and tiny hard-to-see screens could soon be a thing of the past thanks to a range of next-generation ATMs. Ohio-based security firm Diebold has created a touchscreen cash machine that works like a tablet computer, uses facial recognition and QR codes to identify and authenticate users, and has built-in safety cameras. A shocking new investigative report from the largest daily newspaper in Germany alleges that Monsanto, the US Military and the US government have colluded to track and disrupt both anti-GMO activists and independent scientists who study the adverse effects of genetically modified food. As revealed yesterday by Sustainable Pulse, on July 13th the German newspaper Süddeutsche Zeitung detailed information on how the US Government “advances the interests of their corporations,” focusing on Monsanto as a prime example. The report titled, “The Sinister Monsanto Group: ‘Agent Orange’ to Genetically Modified Corn,” described a ‘new fangled cyber war’ being waged against both eco-activists and independent scientists by supporters and former employees of Monsanto, who are described as “operationally powerful assistants” and who have taken up sometimes high-ranking posts in the US administration, regulatory authorities, and some of whom have connections deep within the military industrial establishment, including the CIA. The number of genetically modified (GM) animals used in scientific research in Britain has exceeded the number of ordinary laboratory animals for the first time, according to official statistics that show a 9 per cent overall increase in the use of experimental animals last year. Some 4,033,310 animals were used in scientific experiments started in 2012, an increase of 322,689, or 9 per cent over the previous year. There were 1.91 million scientific “procedures” used with GM animals in 2012 compared to 1.68.m procedures on normal animals. For much more on this, please see my previous article entitled “Human-Animal Hybrids: Sick And Twisted Chimeras Are Being Created In Labs All Over The Planet“. A fan has provoked a furor in the world of professional wrestling after leaking the outcomes of 38 WWE matches ahead of the pay-per-view bouts. The mystery fan, who identifies himself online as Dolphins1925, claims he has obtained the information from a source at Worldwide Wrestling Entertainment (WWE), and is revealing the results to highlight the organisation’s failure to keep its storylines confidential. Dolphins1925 started posting the results on Reddit’s pro-wrestling forum after another fan launched a “prediction series”, asking users for their picks ahead of the matches. He has since maintained a perfect record, even leaking the results of contests involving wrestling superstars such as John Cena and The Undertaker. Texas will always have plenty of water, right? Wrong. Three straight years of blistering drought have strained Texas’ water resources. Some cities like Midland are already steeply raising their water prices. But it’s not just residents of the Lone Star State feeling parched. Texas-based companies are scrambling to reduce their water usage and enact long-term water management plans as a critical business concern. “As the drought continues, industry’s eyes are opening,” said Jordan Furnans, senior engineer at INTERA, a Texas-based geosciences and engineering firm. Those eyes are opening to discover that more dry years are coming, he said. There’s a desperate need for water to fuel industrial, chemical and energy operations in some parts of Texas. “If plants shut down, they’re losing millions of dollars per day,” Furnans said. Only a small percentage of Americans would have believed this particular “conspiracy theory” last year. IRS employees were ordered by their superiors–including Lois Lerner who pleaded the 5th Amendment against self-incrimination rather than testify in Congress–to send certain Tea Party tax-exemption applications to the office of the IRS’s Chief Counsel, which was headed by William Wilkins, who at that time was the only Obama political appointee at the IRS, according to a letter released today by the House Committee on Oversight and Government Reform. The Department of Health and Human Services and Environmental Protection Agency are proposing the change because of an increase in fluorosis — a condition that causes spotting and streaking on children’s teeth. At the highest exposure levels — using a mobile phone half an hour a day over a 10-year period — the study found a 40 percent increased risk of glioma brain tumors. Moises Meraz-Espinoza walked into the Huntington Park Police Department two years ago to report a crime: He had killed his mother. Officers went to the Maywood apartment that the then-18-year-old factory worker shared with his mother, Amelia Espinoza, 42, and found a gruesome scene. A trail of blood led to the bathroom, where plastic covered the walls and floor. There, they found an electrical circular saw with pieces of bone, blood and flesh stuck to the blade. Nearby, in a freezer, police found skin and muscles stored in plastic bags. The woman’s skull, with all her teeth plucked out, her eyes removed and two upside-down crosses carved into the bone, was stashed in a backpack. Prosecutors say that Meraz-Espinoza strangled his mother and then skinned, filleted and dismembered her body as part of a satanic ritual. Chris Inglis, the agency’s deputy director, was one of several government representatives—including from the FBI and the office of the Director of National Intelligence—testifying before the House Judiciary Committee this morning. Most of the testimony largely echoed previous testimony by the agencies on the topic of the government’s surveillance, including a retread of the same offered examples for how the Patriot Act and Foreign Intelligence Surveillance Act had stopped terror events. But Inglis’ statement was new. Analysts look “two or three hops” from terror suspects when evaluating terror activity, Inglis revealed. Previously, the limit of how surveillance was extended had been described as two hops. This meant that if the NSA were following a phone metadata or web trail from a terror suspect, it could also look at the calls from the people that suspect has spoken with—one hop. And then, the calls that second person had also spoken with—two hops. Terror suspect to person two to person three. Two hops. And now: A third hop. 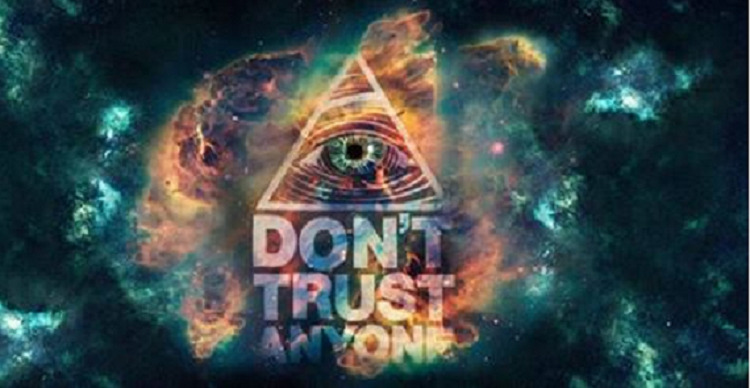 The Federal Reserve is a private banking cartel that was created by the bankers and that serves the interest of the bankers. It was designed to perpetually increase the U.S. national debt and to perpetually create inflation. Unfortunately, it has done a great job on both counts. Since the Federal Reserve was created back in 1913, the U.S. national debt has gotten more than 5000 times larger, and the value of the U.S. dollar has fallen by more than 96 percent.